Packaging Info: Plastic bottle recyclable. 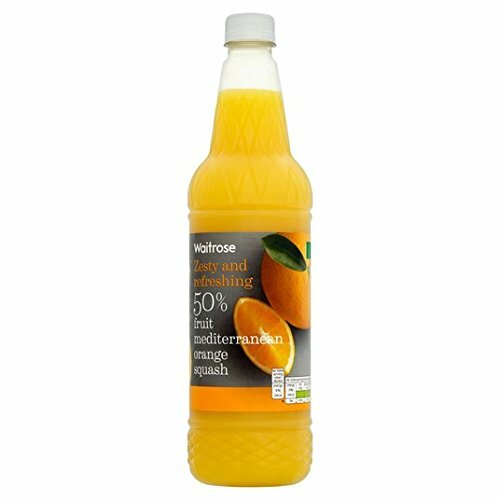 50% Orange Juice SquashZesty & Refreshing50% fruit Mediterranean orange squash.Concentrated orange soft drink. – Prepare and Use: Shake well before use. Dilute to taste, we suggest 1 part squash with 4 parts water. Add extra water for toddlers.